The recent stormy weather has caused the sea wall to collapse. 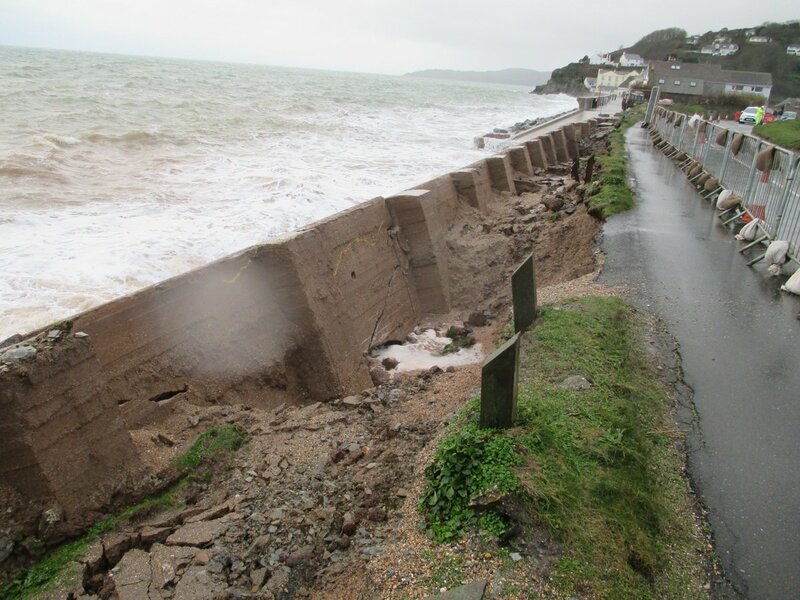 The recent bad weather has caused the sea wall at Torcross in Devon to collapse, leading to the A379 being closed. Structural engineers are inspecting the road to see if it can be re-opened as a single lane. 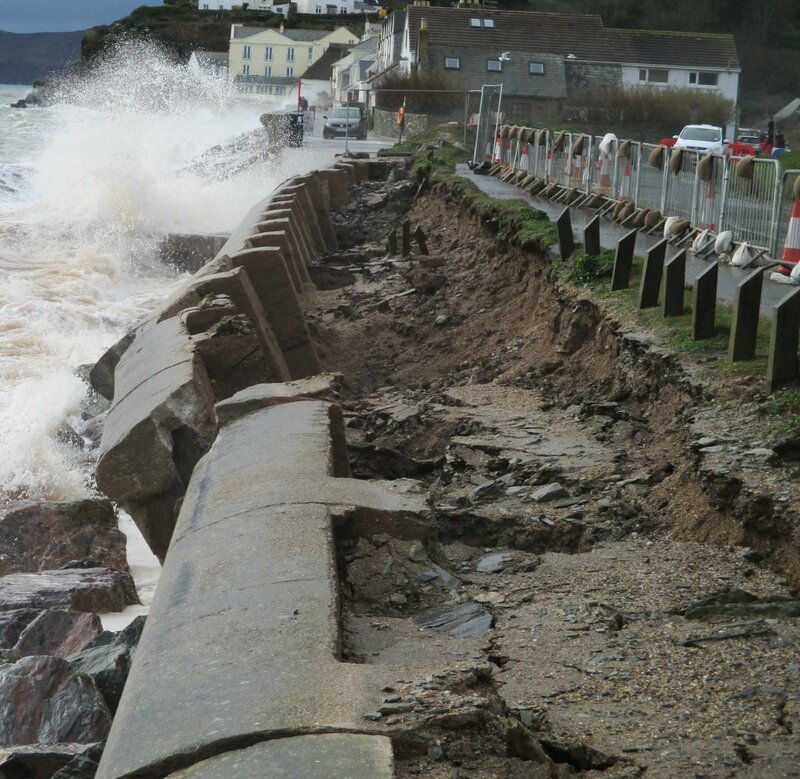 Video of the damaged sea wall, courtesy of John Walker, Videotechmedia, Dartmouth. #Plymouth .Dartmouth to Kingsbridge having to use Diversion route.Due to collapsed wall at Torcross. Firefighters battled for five hours to put out a fire in a seafront cafe in Torcross in Devon, which also spread to the guesthouse next door. The alarm was raised at the Boat House cafe yesterday afternoon. Fire crews from across South Hams were brought in as well as the aerial ladder from Plymouth. The first floor and roof were severely damaged by fire and smoke and water caused further damage at the restaurant, which was also affected in last week's storms. Devon & Somerset Fire and Rescue Service say they believe it was caused accidentally.